Nunn Design offers handcrafted artistic elements in a variety of jewelry components. Fall in love with classic, clean lines, and understated beauty. Make a customizable focal with the Nunn Design brass grande circle deep bezel pendant. 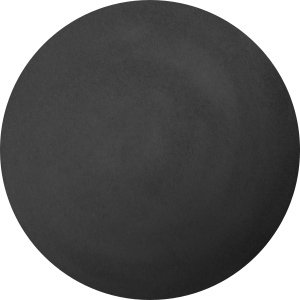 This large, circular pendant features a rimmed edge. You can decorate the center with a photograph or artwork of your choosing and then fill the bezel cup with resin. The back of this pendant is smooth and plain so it will rest comfortably against the skin. An open loop at the top of the pendant makes it easy to slide onto stringing materials. This pendant features a soft golden shine that will add classic beauty to any design. This fantastic antique gold-plated bead cap has ornate etchings that add a touch of captivating detail. Use this bead cap when you want to add texture with a pop of vibrant color to your jewelry. This pewter bead cap is plated in antique gold and will be extremely consistent in size and shape. This particular cap design is simple and elegant with symmetrical shapes resulting in a flower-like daisy appearance. For a meaningful touch in designs, try this Nunn Design cross. This simple charm takes on the shape of a cross. The hammered texture adds an organic and handmade beauty to the charm. A loop is attached to the top of the cross, so you can easily string this charm into designs, dangle it, and more. Try it in an Easter style or use it to give a spiritual touch to any style. This charm features a versatile silver color that will work anywhere. Decorate designs with this Nunn Design charm. This bezel charm features an opening for an 8.2mm (size SS39) chaton. It displays a beautiful hammered texture that adds organic style to the piece. The small cut-out at the back of the bezel allows a pointed stone to fit perfectly within the bezel. Use the small loop at the top of the charm to attach this piece to necklaces, earrings, and even bracelets. It features a versatile silver color that will work anywhere. It's easy to get started creating embroidered jewelry with this Nunn Design kit. A circular copper bezel charm with attached jump ring is included, as well as a silver disc that fits into the bezel. The disc is for mounting your embroidered fabric into the bezel. Basic instructions for how to make embroidered jewelry are also included. These instructions detail what kind of embroidery floss to use and the basics for making the split stitch, satin stitch, back stitch, and running stitch. The instructions also include step-by-step photos and text for adding your embroidered piece into a bezel. Please note that you will need other materials to complete this kit. Here's what you'll need: white cotton fabric, embroidery needle, embroidery hoop, 6 stranded embroidery floss, water or air soluble fabric pen, designs sized for your bezels ( a compatible small heart design template is included in the instructions), scotch tape, strong glue, a Q-tip or wooden stick for glue applications, scissors, and clamps. Get creative with your earring style using these Nunn Design ear wires. These ear wires feature an oval wire frame with a point at one end, giving it a petal look. The end is flattened for even more style. An earwire is attached to the opening at the top. Wear these earrings as-is or decorate them with dangles, wire-wraps, and more. They are bold in size, so are sure to stand out in your style. They feature a classic golden glow. Get your creativity buzzing with this Nunn Design button. This button is circular in shape and the front features a raised design of a sweet bumblebee. A loop on the back center of this button makes it easy to add to your projects. Use it as a closure on a wrap bracelet, incorporate it into bead embroidery, and more. There are so many ways you can use this button and you'll love the artisan style. 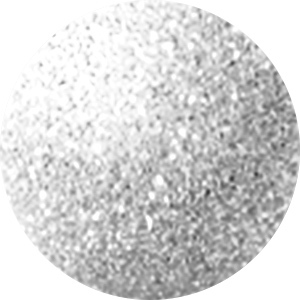 This button displays a versatile silver shine, so you can use it with any color palette. Make cute earrings with this Nunn Design jewelry-making kit. This kit comes with everything you need to make a pair of earrings featuring a Nunn Design organic hoop component with a bezel setting dangling below. Step-by-step photos and instructions are also included for easy assembly. These earrings feature a versatile silver shine, so they will complement any style nicely. Bring more dimension to designs with this Nunn Design jump ring. This jump ring features a classic round shape with a twisted, rope-like texture. It will make a wonderful design element in any project. You can link several together for a fun chain, use it as a connection point, attach dangles and charms, and more. It is versatile in size with a thick and sturdy gauge. It's sure to draw the eye to designs. This jump ring features a rich copper glow full of warmth. For a small showcase, try this Nunn Design bezel charm. This small charm takes on a circular shape, with a bezel that's the perfect size for holding a Swarovski Flatback in size SS20. You can also fill this bezel with epoxy clay or resin for a completely custom style. The loop at the top of the charm makes it easy to add to any design. Layer it with other charms or showcase this piece all on its own. It features a silver shine full of versatility. Make jewelry that is sure to stand out with help from the Nunn Design antique silver-plated brass large wire frame hoop pendant. This pendant features a circular hoop shape created from wrapped wire. A loop is incorporated into the top, so you can easily add it to your designs. Wire wrap beads around this frame or dangle charms from the bottom. There are so many ways you can use it in your designs. It features a versatile silver color. Add a fun finishing touch to your designs with the Nunn Design copper-plated pewter small hammered toggle clasp set. This simple toggle clasp set includes a straight bar component and a circular loop component. Each one has a loop attached to it so you can easily add them to designs. The hammered texture creates an earthy look perfect for modern and boho styles alike. This small clasp is great for delicate necklaces and seed bead bracelets. It features a warm copper glow. 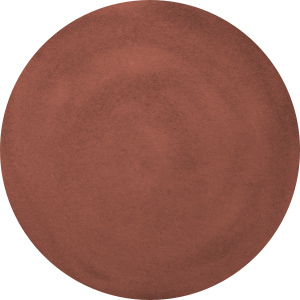 Add a fun element to designs with the Nunn Design copper-plated pewter large round open frame pendant. This pendant is in the shape of a bold circular frame. You can wire wrap beads around the frame or across the frame. Add dangles for a unique look. It's a great base for tree of life or dream catcher designs. A loop is attached to the top, so you can easily add it to designs. It features a warm copper glow. Put a meaningful accent into your style with the Nunn Design antique silver-plated pewter Itsy round spiritual cross charm. This charm is circular in shape and features a simple cross symbol decorating the front. The cross is a beautiful symbol of devotion that will add another layer of meaning to any jewelry piece. The back of this charm is plain and flat. A small loop is attached to the top, making it easy to add to designs. Dangle it from necklaces, bracelets and even earrings. It is small in size, so you can use it anywhere. It features a versatile silver color that will work with any color palette. For effortless boho style, try this Nunn Design pendant. This bold pendant takes on a crescent shape. A small hole at each end of the crescent makes this piece easy to add to designs. You'll love the smooth, flat designs. Wear it as-is or embellish it with mixed media, resin, metal stamping, and more. There are so many jewelry-making possibilities. This pendant features a versatile silver shine, so it will work with any color palette you choose. Bring eye-catching style to jewelry designs with this Nunn Design pendant. This pendant features an elegant and elongated teardrop shape. The front surface features a textured dimension, for a handmade, artisan look. The back of this pendant is flat. Display this pendant as it is in your designs, or customize it with metal stamping or by adding epoxy clay, resin, and more. The hole at the top of this pendant makes it easy to add to designs. Use it at the center of a necklace design. It features a classic golden color. Dream up unique designs with this Nunn Design bail. 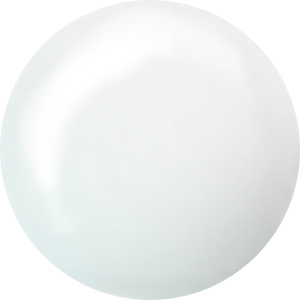 The flat part of the bail allows you to attach a pendant with adhesive or you can embed it into resin, epoxy clay, and more. The loop is attached with a hinge, allowing it to move freely. This component will add a professional finishing touch to your jewelry-making projects. Use it to showcase a pendant in a necklace, create your own charm for a bracelet, or even to create dangles for earrings. It features a versatile silver shine that will work anywhere. You can create a fabulous focal with this Nunn Design kit. A circular silver bezel charm with attached jump ring is included, as well as a silver disc that fits into the bezel. The disc is for mounting your embroidered fabric into the bezel. Basic instructions for how to make embroidered jewelry are also included. These instructions detail what kind of embroidery floss to use and the basics for making the split stitch, satin stitch, back stitch, and running stitch. The instructions also include step-by-step photos and text for adding your embroidered piece into a bezel. Please note that you will need other materials to complete this kit. Here's what you'll need: white cotton fabric, embroidery needle, embroidery hoop, 6 stranded embroidery floss, water or air soluble fabric pen, designs sized for your bezels (a compatible small heart design template is included in the instructions), scotch tape, strong glue, a Q-tip or wooden stick for glue applications, scissors, and clamps. Make every part of your jewelry designs unique with this Nunn Design jump ring. This jump ring features a textured surface that looks twisted like a rope. It will bring dimension to your jewelry-making projects. This jump ring is bold in size and features a thick gauge. Use it to showcase pendants in your designs, layer it with other components for a unique look, and more. It features a regal golden shine full of classic beauty. Accent designs with this Nunn Design drop charm. This charm features a faceted teardrop shape that will make a nice accent in any kind of jewelry design. The loop at the top makes it easy to add to your projects. This drop makes a wonderful stand-alone focal point and can also cluster together with other charms. It will provide an elongated and simple accent to any look. This charm displays a regal golden glow full of classic beauty. Unforgettable style starts with this Nunn Design pendant link. This component features a deep circular bezel on the front. You can fill the bezel with resin and epoxy clay for designs styled just the way you want. A loop at each end of the bezel makes it easy to add to designs. Use it as a link in bracelet designs or in long necklace strands. You can also showcase it at the center of a necklace with a dangle below. This pendant features a golden glow perfect for classic styles. Put some meaning into your style with this Nunn Design cross. This simple charm takes on the shape of a cross. The hammered texture adds an organic and handmade beauty to the charm. A loop is attached to the top of the cross, so you can easily string this charm into designs, dangle it, and more. Try it in an Easter style or use it to give a spiritual touch to any style. This charm features a regal golden shine full of classic style. Create a stylish earring look with these Nunn Design ear wires. These ear wires take on a unique oval shape that tapers at the top and bottom. They feature an open style, so the long wire at the back of the earring will dangle behind your ear. The front of the ear wire ends in a simple loop, so you can easily add dangles and charms. These bold earrings are sure to make a style statement. They feature a versatile silver color. Enhance your style with this open frame hoop from Nunn Design. This bold circular frame makes a great base for all kinds of jewelry designs. You can use it in earring projects, try it as the focal of a necklace or even use it in chunky bracelet styles. Wire wrap around it, dangle chain and beads, layer it with other components and so much more. You're sure to find creative inspiration with this frame. It features a regal golden shine, perfect for classic color palettes.